It’s rare that I end up with a lemon in my aftershave collection as the notes to fragrances tend to give me an idea of what to expect. Hugo Boss Dark Blue came into my collection as a gift a number of years ago and it’s still there with just a few inches of the liquid gone. Personally I was impressed by the actual look of the bottle, very sleek, very stylish and shaped like an urn. The bottom two thirds of the bottle being dark blue in colour whilst the top third has a metallic finish. The metal top screws off to reveal an atomiser that dispenses the fragrance. 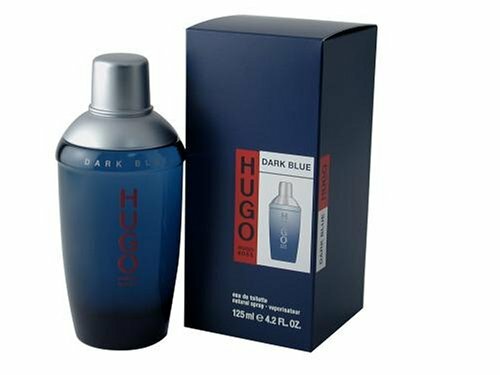 The dark blue colouring combined with the actual shape are unique and give off a Hugo Boss feel of style and quality. The notes to Dark Blue build it up as a light citrus fragrance with subtle hints of nutmeg, which should make it warm, refreshing and ideal the man about town. Aimed at a younger more sophisticated individual I took my purchase in hand and went to test it out. The first thing that struck me was that the screw lid was an absolute bugger to unscrew. The design of the bottle doesn’t allow for any grip at all and even slightly damp hands will struggle to actual get at the fragrance inside! Five sprays later and I was greeted with a sweet, invigorating citrus aroma that was both light on the nose and refreshing at the same time. 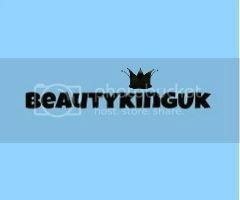 Although light and sweet, the fragrance immediately after application came out with warm mossy undertones which can only be attributable to the nutmeg extract giving this a manly smell. Unfortunately and this is the only problem with this fragrance the smell did not stay the same as it was on application. Within an hour the citrus smell had all but disappeared, the light aroma had started to become heavy and the fragrance resembled a cross between cat urine and rotten cabbage. Not pleasant at all, in fact every time I got a waft of the fragrance I gagged it was that bad and washed it off as soon as possible. This was some six hours later so unfortunately it does have staying power! Whilst wearing there were no compliments and a number of people did comment on that strange smell much to my displeasure. This starts off with an amazing amount of promise and descends very quickly into an instantly forgettable fragrance. This was a gift and has only been used a few times – for kicks I let mates use it when they ask if I have any aftershave they can borrow before we head out on the town. This bottle has and will continue to gather dust in my bathroom cabinet forever more. There are better, cheaper fragrances on the market and I’d strongly suggest you try anything rather than Dark Blue. Hugo Boss Dark Blue is not a cheap fragrance, it may smell cheap and nasty but at £29 for 75ml it certainly isn‘t at the bottom end of the price spectrum . A 125ml bottle will set you back a staggering £36. Hugo Boss also produce a range of shower gels, soaps and shaving gels based around this fragrance and based upon my experience of the EDT I won’t be trying them. Oh no :( I always like Hugo Boss on a man but I may have to tell Steve to stay away from this one! It's not that they are bad at fragrances - Hugo Boss 'Just Different' is fab. Ooh, this sounds so promising. It's a shame it doesn't smell as good as it sounds!